Most of the bourbons in my cabinet are high proof. Half of my unopened bottles are cask strength and all but 2 are at 50% or higher. Only one of my 12 opened bourbons is bottled at less than 50%. Last year I was picking up some beer and maybe wine for my wife, and saw this mini near the cash. The LCBO has very few minis. Though it was a little pricy for 50 cc, I was using a gift card and decided to treat myself, as I’ve read about Maker’s, I bought one for a family that let me stay at their place over a weekend, but I’ve never tasted it in a “controlled setting”. 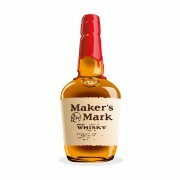 This is standard Maker’s Mark, in a 50 cc plastic bottle complete with the dipped wax seal. This is actually more than just a marketing gimmick. I suspect that the seal would help preserve the contents more than a simple metal closure. I know there are many types of Maker’s but this is the entry level standard expression. I was surprised by 2 things. The label refers to the spirit as WHISKY, not WHISKEY. Second, there is a serial number that likely points to the batch on the back, which is not often seen on minis in my experience. This expression, poured into a A. Smith Bowman snifter, is reviewed in my usual manner, allowing it to settle, covered, after which I take my nosing and tasting notes, followed by the addition of a few drops of water, waiting, then nosing and tasting. There is a smell that is characteristic of bourbons, something that I detect in almost every bourbon I try. I’ve never been able to put it into proper English terms. This is what hits me first. Sweet, spicy, fruity. A warm nose, heavy syrup (as in canned fruit). Definitely cherry, maybe maraschino? Nice nose. Water doesn’t really change the nose for me. Sweet arrival, vanilla, some caramel. A little cherry. Spicy on the development with just a touch of pepper. Water smooths out the rough edges a little but also washes out the flavours a bit. A little short, and spirit, with some pepper. The nose is a little more complex than the palate, which is slightly disappointing (after the nose). This is not bad bourbon. With some heavy bruisers in my cabinet I can’t see myself buying a bottle of it, because it would last forever, but if it were part of a limited choice at a party, I would definitely consider it. Maker's Mark A great American whisky. This is my favourite bourbon....Why? Because it never disappoints. It is easy to drink, tastes great, and the price won't leave you dizzy. It is in a totally different orbit than Weller (another popular wheated bourbon), perhaps yeast and cask treatment make the difference, or possibly the stills, the cut...who knows? Each iteration has qualities that distinguish it from other Maker's (such as 46, Cask Strength, and Private Selection) as well as traits that tie them to the house style; however, they are not at all similar to Beam or Sazerac products. 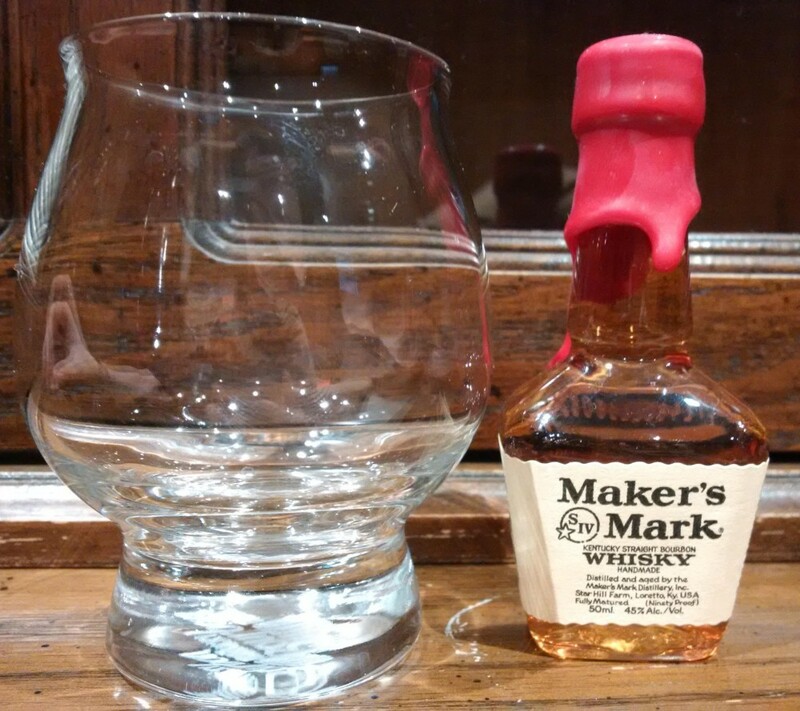 Maker's is an easy sipper, especially when hand warmed, with a soft entry, adequate sweetness, and not a lot of tannic accents. There is no prototypical bourbon style. Maker's is in a category of its own. Some like it, some like it a lot, and some don't care for it. I like it, a lot. I don't recommend water for the standard 45% version. @Nozinan, US distillers are free to spell whiskey/whisky as they like. There is no US law on this subject, and tradition here does not make a big deal about the spelling used. There are other US distillers in addition to Maker's Mark who choose to use the "whisky" spelling, e.g. George Dickel. 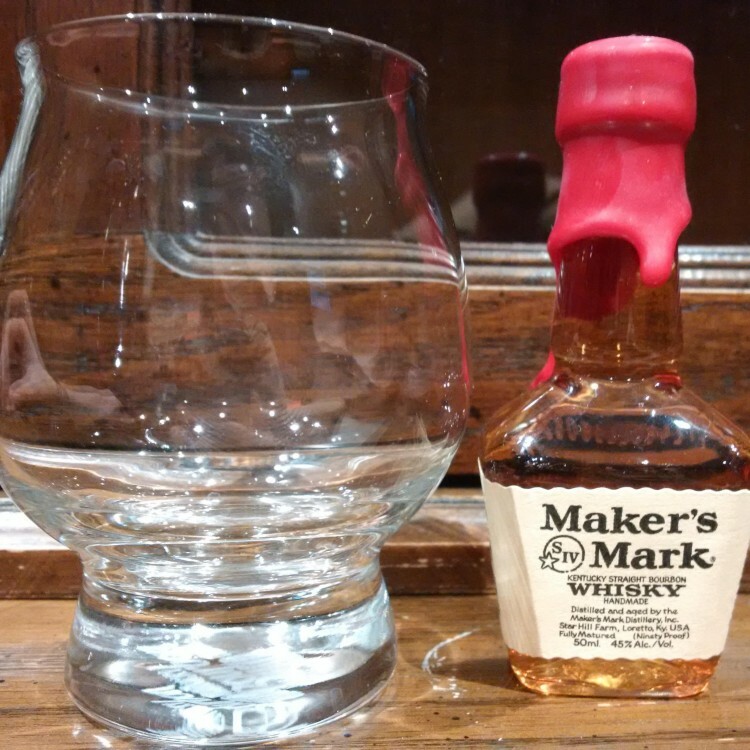 I am long on record as not being a fan of most batches of standard Maker's Mark for sipping purposes, but I am a big fan of sipping the more strongly wood-influenced Maker's 46. Standard Maker's Mark does make excellent cocktails.